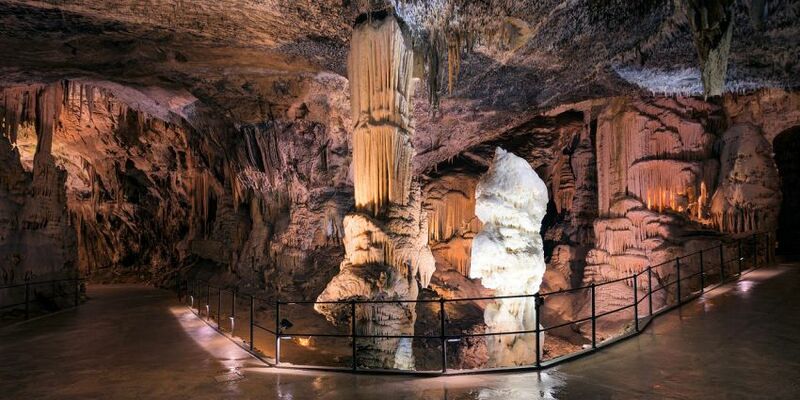 Properties for Sale along the Adriatic Coast, (Coastal–Karst), Slovenia. Apartments, Houses and Chalets for Sale in Coastal–Karst Region, Adriatic Coast, Slovenia. Slovenia has a relatively small coastline along the shores of the Adriatic Sea. 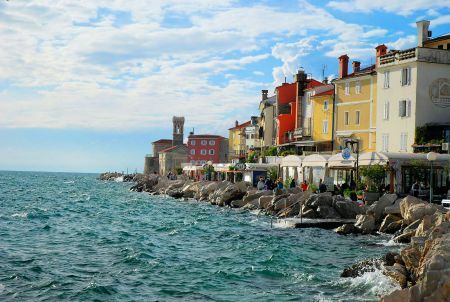 The Slovene coast is sandwiched between the Bay of Sistiana, Trieste Province in Italy and the city of Umag, Istrian Peninsula in Croatia and is a mere 46 km long. 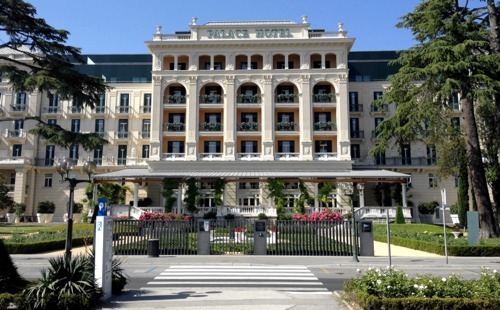 However it is an area of outstanding beauty and offers wonderful coast resorts such as Piran, Portorož and Izola. Slovenia also has a large commercial port on this coast called Koper. The whole region is easily reached by air via Ljubljana (Slovenia), Trieste and Venice (Italy) or Pula airport in Istria, Croatia. Road and rail connections are also exceptionally good. The Municipality of Ankaran is located near the border with Italy, less than 5 km from the Italian town of Muggia near Trieste and about 2.5 km from the Italian-Slovenian border. 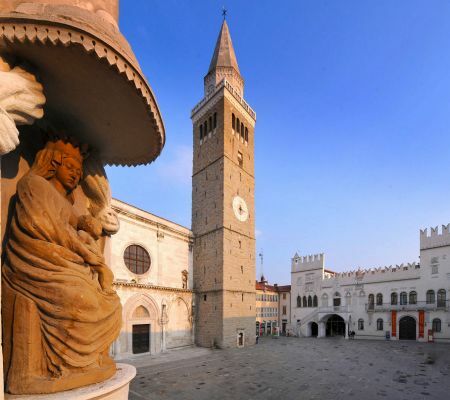 In the municipality both Slovenian and Italian are official languages. It is the northernmost of all the coastal settlements of the Slovenian Riviera and one of the last settlements in Istria before the Karst region. 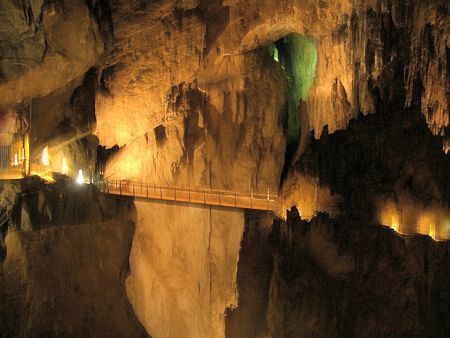 In ancient times it was one of the most important routes along the Adriatic coast. The Mediterranean climate allows grape and olive cultivation. 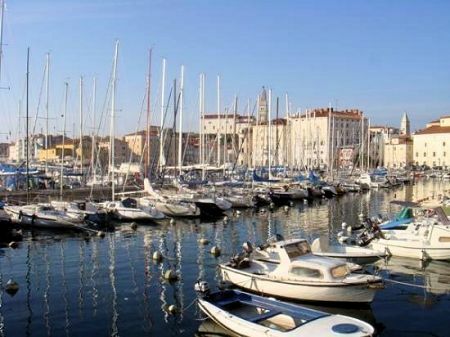 Koper with its historical core represents one of the most picturesque parts of the northern part of the Istrian Peninsula. Water sports are very important; there are many regattas in the Bay of Koper and the town has built a small marina. It also organizes the Summer Festival of Primorska. Koper is a unique mix of a genuine Venetian old town center and a modern part of the city. The picturesque Old Town invites for strolling through narrow alleys with beautiful architecture and lovely small restaurants, cafés, bars, antique shops and art galleries. The town is officially bilingual, speaking both Slovene and Italian. The town’s surroundings and the countryside are exceptionally attractive: the steep rock walls by Črni Kal and Osp provide an ideal place for lovers of free climbing and the countryside features various special culinary and wine offers. 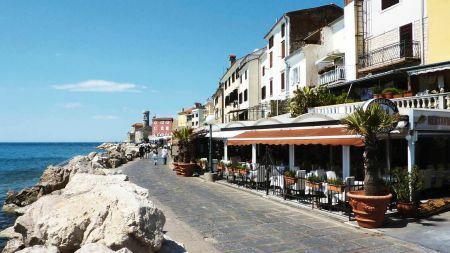 Izola is a coastal town primarily known for its rich fishing tradition. 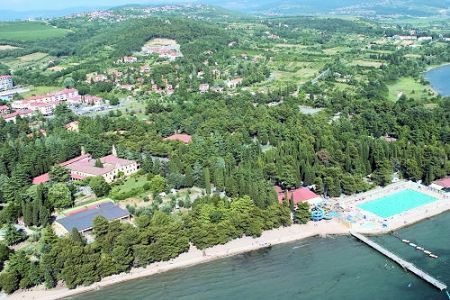 Most of the tourism is concentrated on the eastern side, at the Simonov zaliv bay, where there is a seaside resort with swimming facilities, hotels and restaurants. 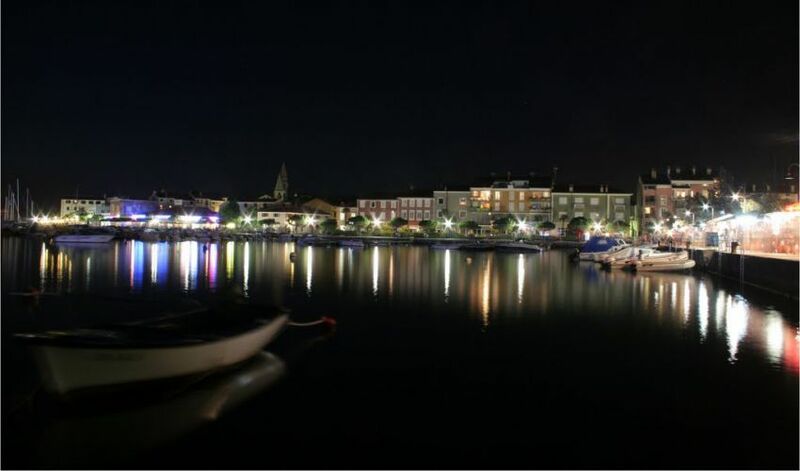 On the western edge of the town is the marina of Izola. The old seaport of Piran lies at the end of the Piran peninsula; it was surrounded by walls during the Middle Ages (200 meters of the city walls are still preserved). 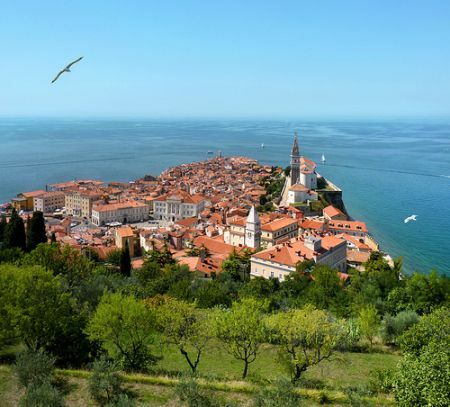 Piran has preserved its medieval layout with narrow streets and compact houses. Steps ascend from the coastal lowland into the hills and give the whole area that typical Mediterranean look. The whole town is protected as a cultural and historical monument. 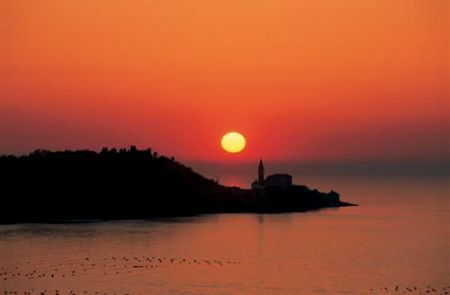 Today Piran is an administrative and supply center for the region as well as an important coastal tourist resort with hotels, restaurants, B&Bs and vacation rentals. The town also houses the Sergej Mašera Maritime Museum, an aquarium, cultural institutions and is host to a number of special events. Portorož, (known as well as Portorose in Italian, literally meaning "Port of Roses") is a tourist town with the longest tourist tradition in Slovenia. As a "tourist town" one will be able to find comfortable hotels, modern swimming pools, restaurants and a multitude of events. It is a popular conference center – it as various conference and meeting facilities that can accommodate up to 1500 visitors. Portorož has a casino, a sport airport and a marina. 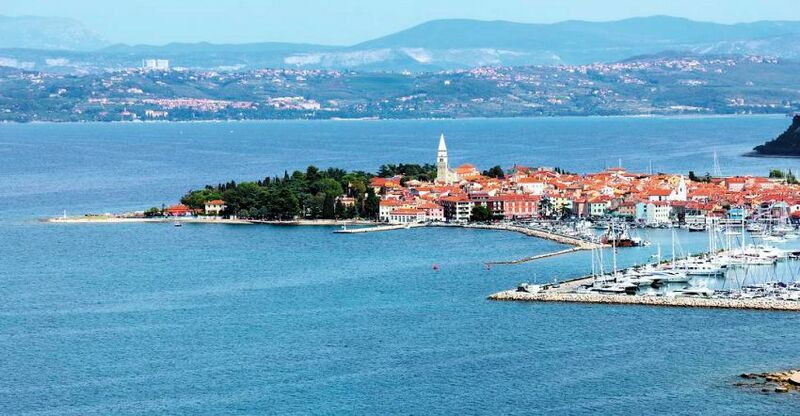 Portorož is a town visited by tourists from all over Europe as well as countries further afield. It is an internationally known holiday center and climatic health seaside resort. Inland the countryside is known as Karst. 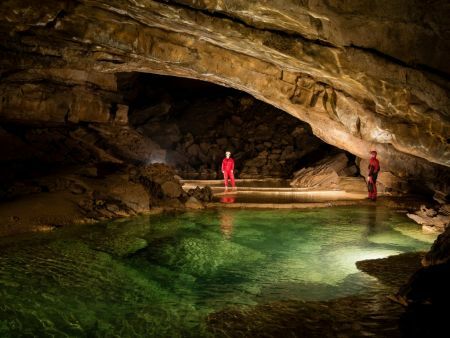 This is a “limestone pavement” with very porous limestone rocks resulting in many cave formations. 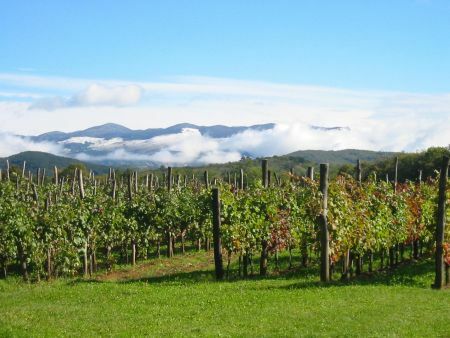 The region produces many great wines including the remarkable Refošk. A deep coloured rich red wine which has become increasingly popular. Other good wines include Merlot, Malvasia, Teran and others. 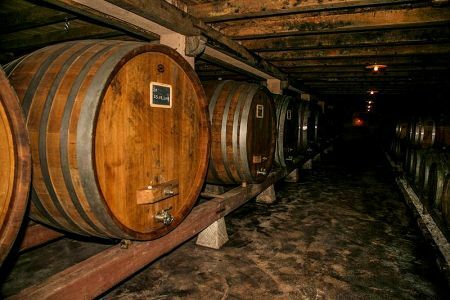 The Karst Wine Road (see website) connects dozens of small family-owned producers; pick up maps and brochures from local tourist information centres. Typical wine cellar - "hrami"
There are charming villages and back roads to explore – a favourite destination is the ancient fortified village of Štanjel (total population: 370; see well maintained website), with its own castle and some lovely gardens just outside the walls. Another famous product of this region is white truffles. The internationally famous Lipizzana horses emanated from Lipica in Slovenia and are known mostly from their use in the famous riding school in Vienna. 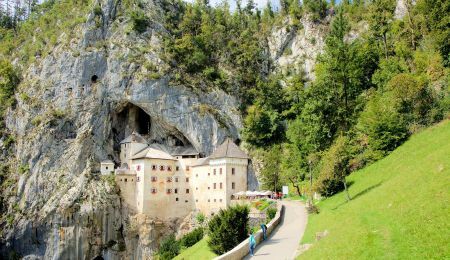 Please browse through our property listings for this lovely part of Slovenia and contact us about anything of interest to you. 1. Studio on the ground floor (19,30m2). 2. Two bedroom apartment Ist floor (46,70m2). 3. Two bedroom apartment Ist floor (33,80m2).